Have Questions About A Project? As one of the oldest art forms known to man-kind, hand painted ceramic tile art and murals have drawn in attention from admirers all over the world. After developing a love for the practice during overseas travel, Carolyn Payne opened Payne Creations in Kansas City, MO, and has been creating beautiful pieces since 1984. 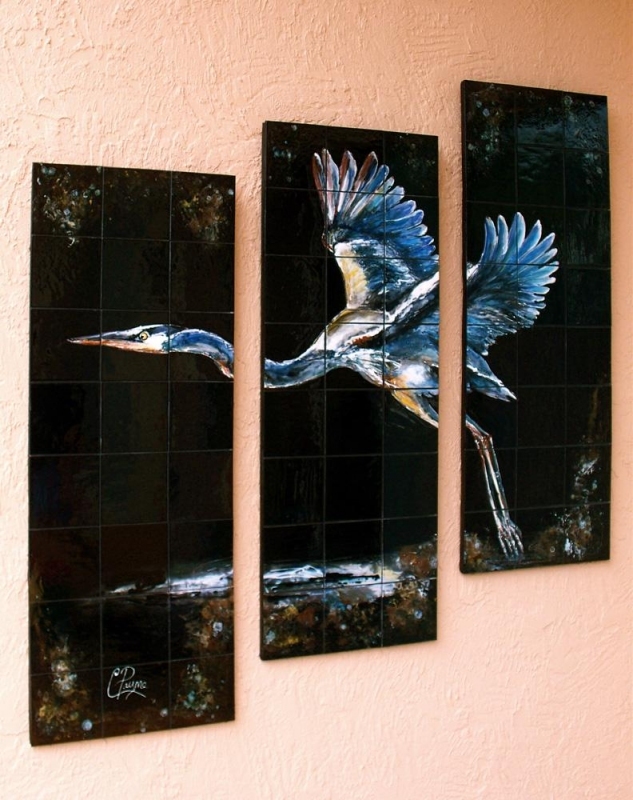 Since the beginning, it has been Carolyn’s goal to enhance the versatility and creativity of hand painted ceramic tile art and her success in this particular feat speaks volumes. Whether it is kitchen backsplashes, wine cellars, shopping centers or fountains, Carolyn Payne and Payne Creations have shown that tile art can find a place either residentially or commercially. In fact, outdoor ceramic tile art is something that we bring in a lot of clients on both sides of the spectrum for. Each design is distinctively personalized to the client’s desires, creating a unique look and enriched décor for any space. Carolyn Payne’s hand painted ceramic tile art and murals have been featured all over Kansas City, MO. From personal homes to university entry ways, banks and public plazas, her murals have a depth of color and three-dimensional appeal that makes her approach superior to others in her field. Call for a consultation and allow Carolyn to get started on a design for you today! All Decorative Art Tiles and Hand Painted Ceramic Tiles are created from the highest quality bisques and glazes, by using multiple firings and special techniques. Carolyn achieves “extreme quality” hand painted art tiles, adding greater color depth and a third dimension of texture, adding visible value. Carolyn Payne resides in her studio/home in Kansas City, MO, where she creates her unique hand painted tile art. Carolyn’s work has been featured in the following publications: Better Homes and Gardens, Kitchen and Bath Ideas, House Beautiful, Professional Builder Luxury Homes, Country Decorating Ideas Bedrooms and Baths, Country Living, The Guild Designer Source Book, Tile Letter, Tile & Decorative Surfaces, Flash Point/Tile Heritage Foundation, PACE Interior Architecture/Hong Kong, PACE Interior Beaute/Hong Kong. My hand painted tiles murals have been used in residences for kitchen backsplashes, baths, patios, swimming pools, and wine cellars throughout many KC, MO, and other parts of the country. As a professional tile artist, Carolyn Payne has been involved in countless commercial tile art projects in Kansas City and other parts of the country for over the past 30 + years.